I was driving down the road today in my truck with the windows down (its been in the high 90s lately, there was a motorcyclist in front of me. As we passed another motorcyclist going the opposite direction he performed to correct greeting and the other returned the gesture. Watching all this, I was saddened because my bike has been a garage warrior for some time now and I miss riding. But SOON! Its getting rejetted, the slides drilled and some dyno time on the 20th can't wait!!! You see CJ, that's where more than one bike comes in handy! It's looking good - clean as a pin. And I just love the CF on the tank. You'll get there and still get some riding in before the weather turns. Man, is that true. I was always rushing to get my bike back together so I could at least ride. 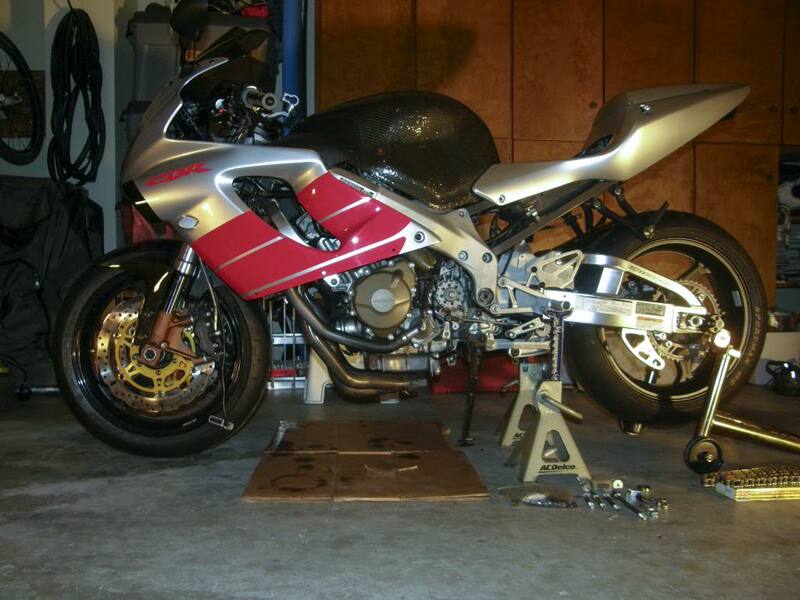 Now that I don't have to (with the Buell in the picture), I can take my time and do my bike right. CJ, the bike is looking good. Once you get everything tuned, it'll be worth the wait.